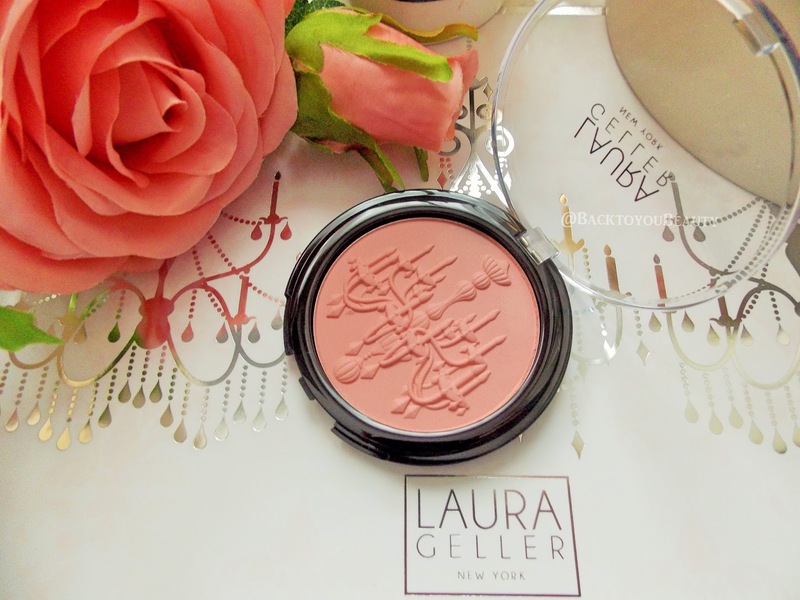 If you are a fan of Laura Geller make up, whether you have seen it in the High street or online, you will be excited with this new collection. The Lights of Venice collection is absolutely beautiful and an ideal gift for Christmas and beyond. Included in this set are 8 items (7 full size products and a retractable brush), all you have to do is make a choice based on your foundation shade Porcelain, Fair, Medium, Tan and Deep. I have the shade medium which is perfect for my skin tone. This foundation is incredible for the party season! 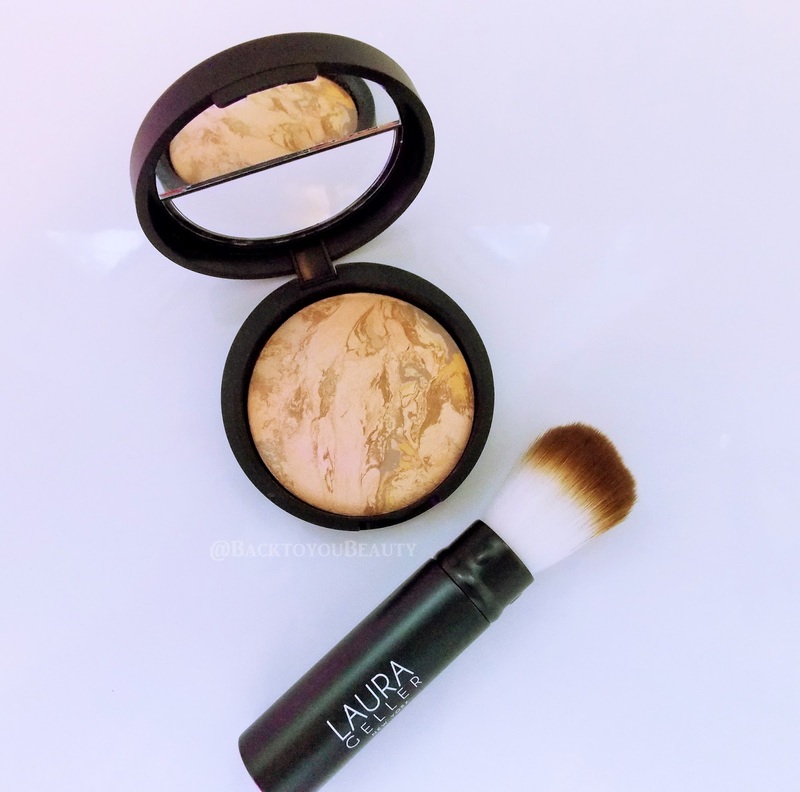 This is the Laura Geller Signature Baked Liquid foundation swirled with her baked highlighter. This gives the skin the most beautiful, flawless coverage without looking shimmery or glittery. It adds a classy, cheeky sparkle. 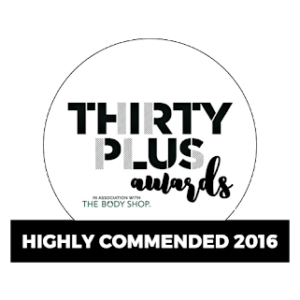 It cleverly colour corrects with your own skin and adds a youthful glow and highlight to the skin without caking and creasing. Suitable for all skin types including dry, due to the fact that it is a baked liquid and not a powder, this looks incredible over Laura’s Champagne Spackle if you have some of that. I love to use a smaller brush to pic out highlight for my cheeks bones and also use as eye shadow so that the colours blend effortlessly. Easy to apply just swirl the brush included in the powder and apply all over the face, neck and décolleté for an effortless glow. This super soft, creamy blush not only looks fab with the embossed Chandelier in it, but it is a lovely natural flush of pink that can really lift any skin tone. From the fairest of fair to the deep tones of skin, you can create you own custom colour as it is very buildable and blends out easily. It also makes a wonderful eye shadow if you can bare to use it as it looks so cute. Leaves a lovely, sheen to the skin and lifts the complexion. Now this, this makes me happy! 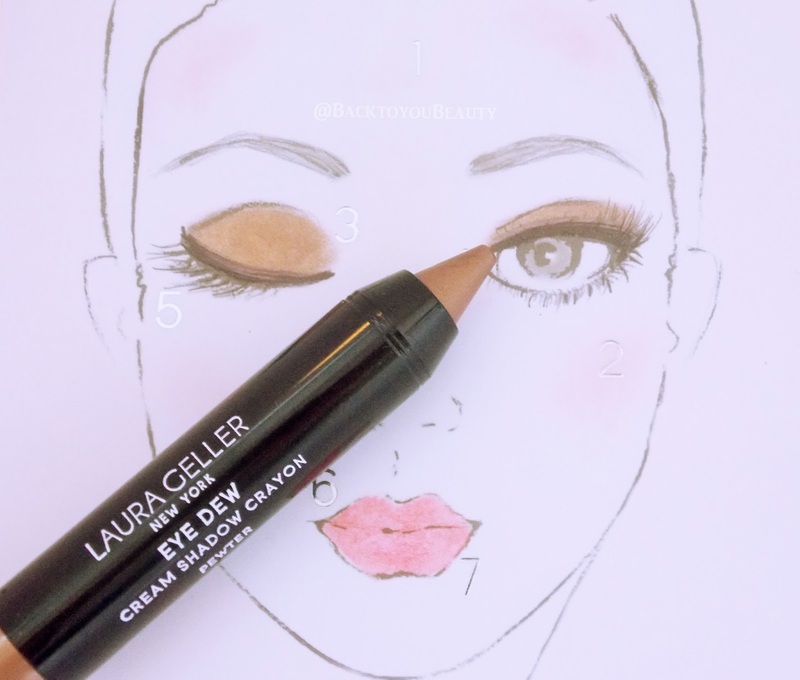 This super easy to use cream shadow stick is such a a fantastic universal colour. Whether you use it lightly and tap it in with your fingers for a wash of colour across your eyelids, apply it as a base to add glitter over the top at Christmas or use it as a liner ( The point is fine enough) this is one shade you will love. 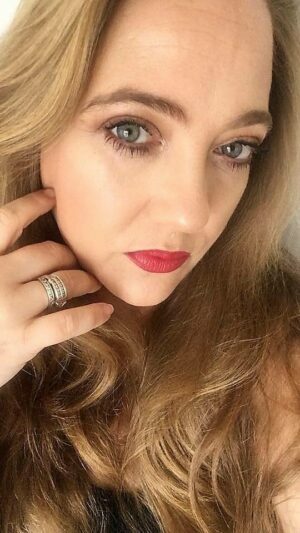 This pewter shade is a lovely bronze colour that shimmers in the light, I love how it makes my green/blue eyes really pop and can be used to create so many easy looks which is perfect when you are busy and on the go. 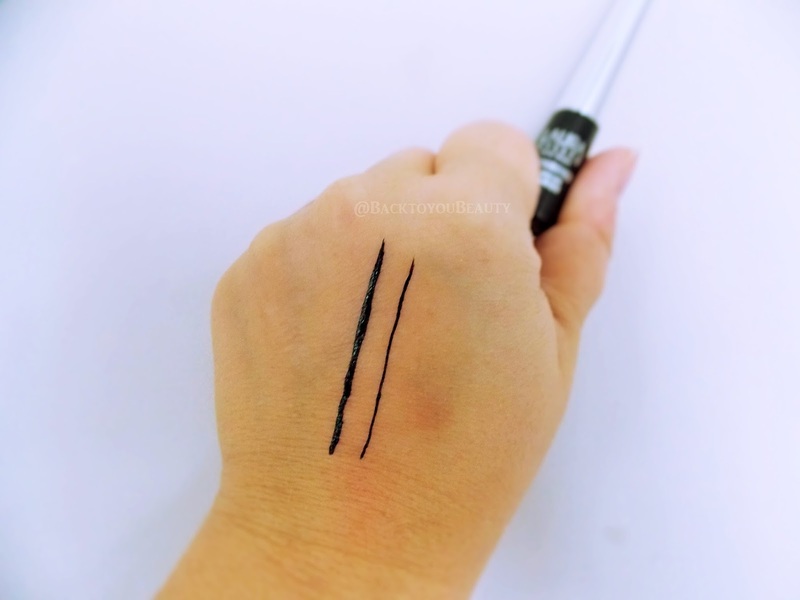 Infused with Aloe Leaf Extract and Vitamin E this shadow crayon really conditions the lid as well which is great for anyone with dry lids, but also has amazing staying power for anyone with oily lids. I adore this shade. Apply it either with your fingers or chosen brush across the eyelid and blend out as needed. After a few seconds this dries completely and lasts all day until you take it off. I was so excited to see a liquid liner included in this collection, but also a little dubious. Some liquid liners dry out so quickly, or the brush splays and they become hard to use, I was excited to give this a try. 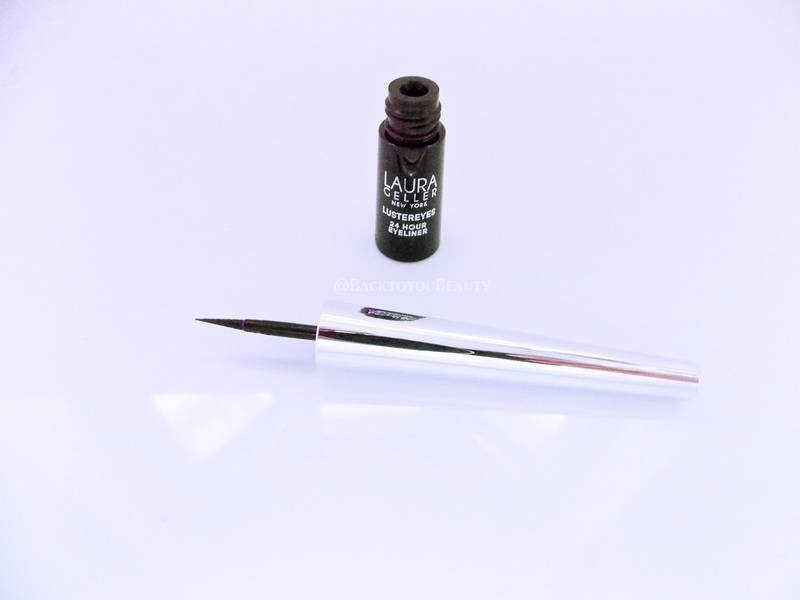 This gel liner feels beautiful on the skin, lovely and cool as you apply it and does not pull or tug. It has an incredibly precise brush that is so easy to use. You can create a very, very thin line or use the brush on its side for something a little thicker if you wanted to create a flick. I love the design of the lid, which is the handle, as this is very comfortable to use. You will find you own way of applying gel liner, but I always apply it on my top lash line by placing my little finger on my cheek and drawing a straight line from the inner corner of my eye, in one movement out. You can also do little dots and then join them, whatever works for you. This liner is lovely and shiny, which is great as it always looks fresh and bright without dulling down. It dries quickly so practice a few times if this is new to you, but it lasts all day long. You absolutely will need an eye make up remover to take it off. A real black mascara that quickly and easily transforms the lashes, increases the volume and separates each lash making them look more full. The thin wand is very deceptive. I am not going to lie I am a fat wand kind of girl and only ever use the thin wands for my lower lashes but even I was shocked. 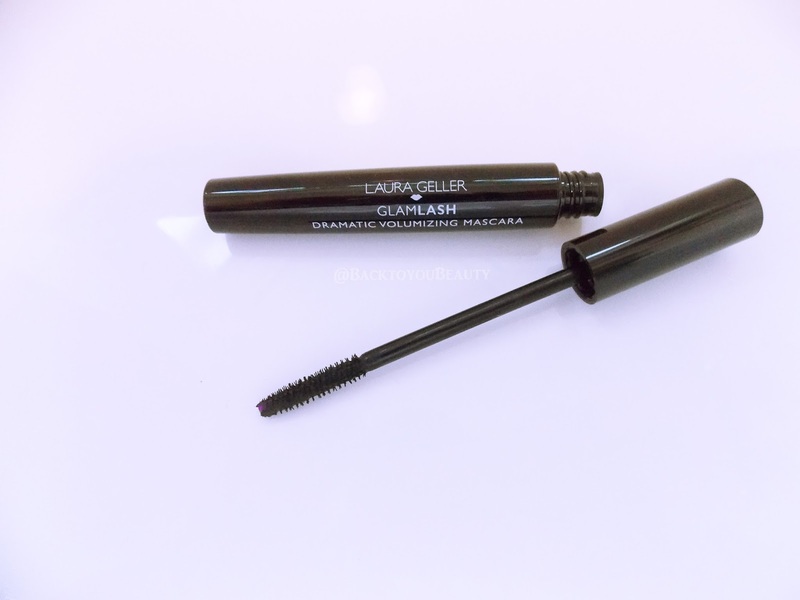 This mascara manages to pick up each lash and coat it perfectly whilst adding amazing volume. One coat is fab, two coats is amazing! Perfect for a night out and will give my falsies a run for their money. Doesn’t sting my sensitive eyes, is ophthalmology tested and does not dry out the lashes. Incredibly long lasting too. A very pretty lipstick with a lovely secret embossing as you twist the bullet. 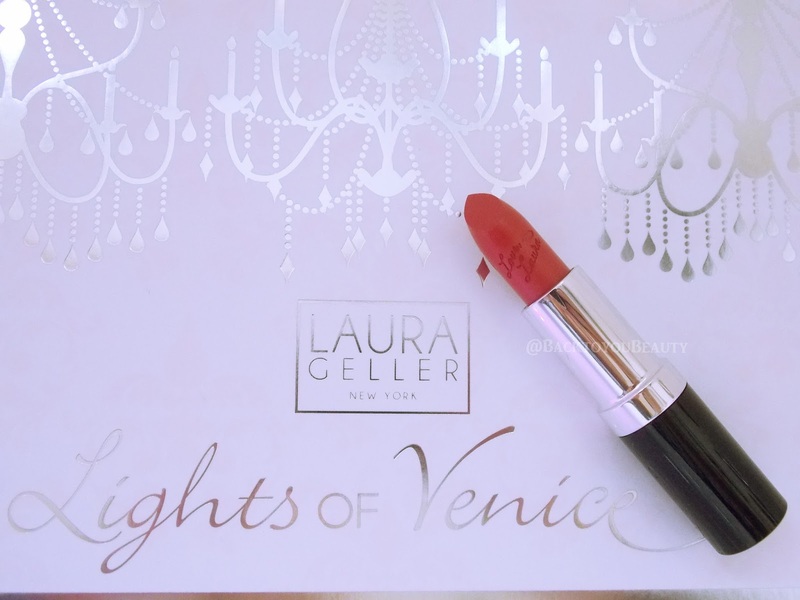 Embossed with “Love Laura” this gives the lipstick a very high end, glamorous, yet personal touch which I love. The shape of the lipstick is great as the point allows you to outline your lips without the need for a pencil, making this a very versatile product. A creamy consistency that feels like a balm in texture on the lips which is great in winter, adds a lovely sheen of pink to the lips. If you like a natural colour this would be perfect for you as it is a cheeky hint of colour without being to much. For me this would be an ideal day time shade and then I would use it as my creamy base for evenings and apply a darker, glossier shade on top. I am not going to lie, when I saw this shade in the tube I was a bit worried that it would be too pearlised. However, upon application it is a very pretty, shiny gloss that appears to make the lips look fuller. It looks lovely over the Pink Mink lipstick. Retractable Brush – The included, synthetic, retractable brush comes in very handy.You can make it the perfect size by twisting it so you can use it large to buff Balance-N-Glow all over your face, or smaller for your blusher or to add more coverage in certain areas. Also great to load product onto, pop the lid on and take it out in your bag so that you have product on the go. My thoughts on this collection. I absolutely love this time of year, especially for beauty. We seem to get so much for our money where beauty gift collections are concerned. Whether you are buying as a Christmas gift or stocking up yourself Christmas Collections are always amazing value. This is no exception. 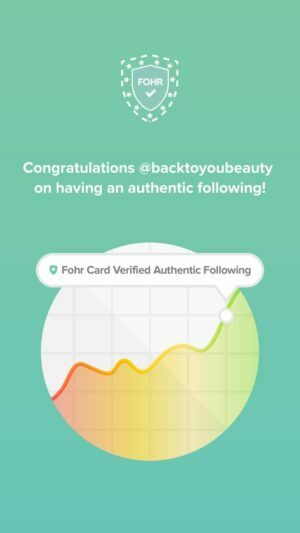 I love that there is a double sided “look” Card included which shows you how to easily create two looks. 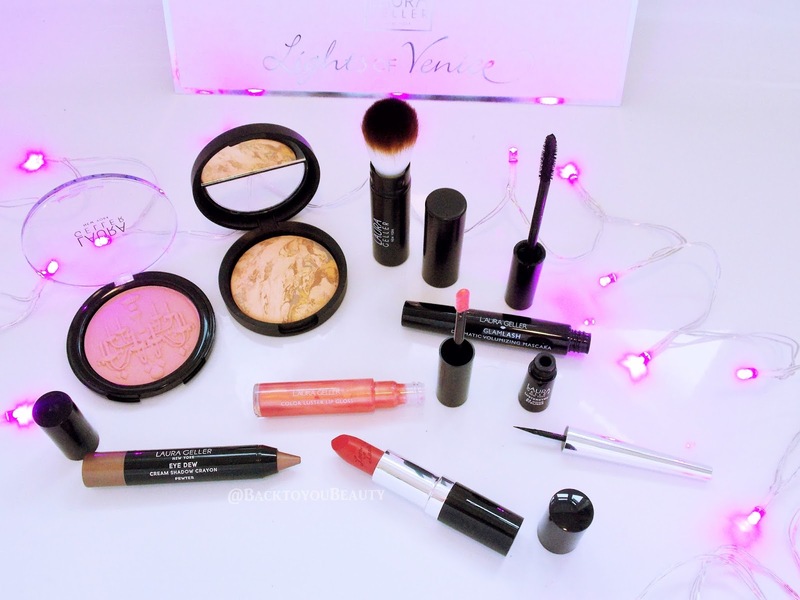 This is a wonderful collection which allows you to create full on drama on the eyes and a very glowy look to the skin. Personally I would use the balance and glow over my liquid foundation, as I like a fuller coverage, and use the Balance-N-Glow as my highlight. 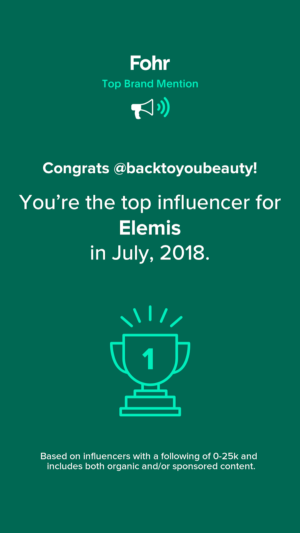 I always wear a primer under my make up anyway for longevity and to cover up pores, lines and wrinkles, so I would suggest if you have dehydrated skin, to do the same. If you have flawless skin, this would be perfect as your only coverage to offer a real glow. It really is a pretty, youthful collection that can easily be adapted from day into night. This would make an ideal gift for anyone that is into make up. This incredible Lights of Venice Collection is available as a QvcUk TSV for one day only or whilst stocks last at a fantastic price of £46.96 and on 4xEasy pay. This collection is available on 6th November. 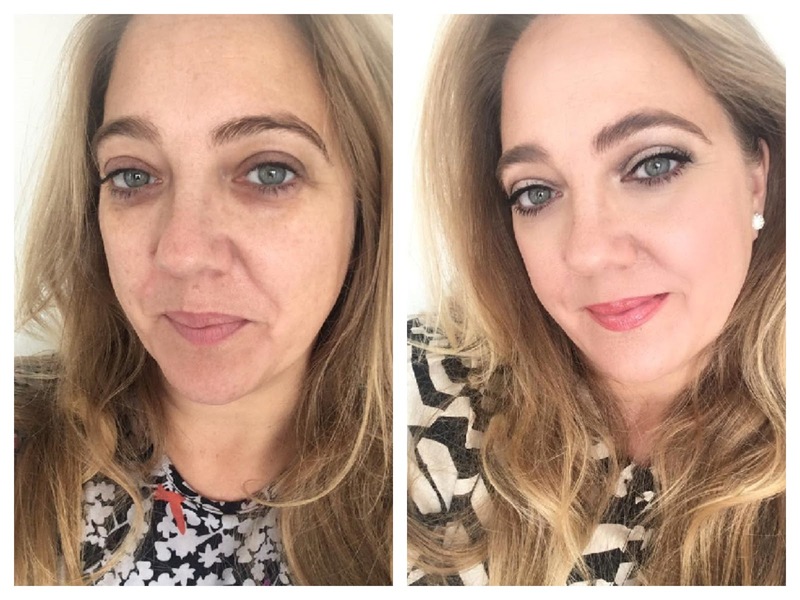 "Stressed skin saviours…..Products i am currently using"
"BareMinerals launch their Christmas Wish List – You Better Not Pout!"